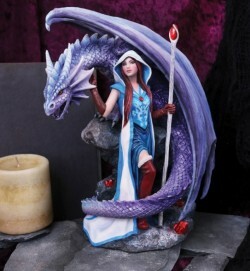 An extremely detailed and impressive figurine with very skilful casting and painting. Solid high grade resin for a weighty display piece. Based on the original artwork by Anne Stokes.